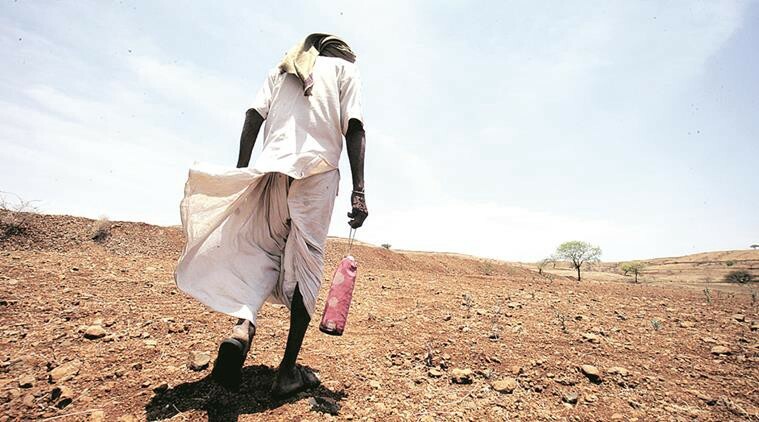 Also disagreeing that with the claim the rural areas of nine big states have even become “open defecation free” (ODF), the Parliamentary committee on rural development (2017-18), in its 59-page report, observes, “Contrary to the figures being projected by the Ministry, the Committee, while examining the subject, was of the view that the sanitation coverage figures seemed to be more on paper, but the actual progress at the ground level is very lethargic”. Finding the performance of some states – especially Bihar, Uttar Pradesh, Jammu & Kashmir and Odisha – is very low, ranging from 55% to 85%, the report observes, even the “secretary, Ministry of Drinking Water and Sanitation, admitted about the dismal performance of bigger States”. Thus, in Uttar Pradesh Rs 2836.82 crore were lying unspent, in Bihar Rs 2764.62 crore, in Madhya Pradesh Rs. 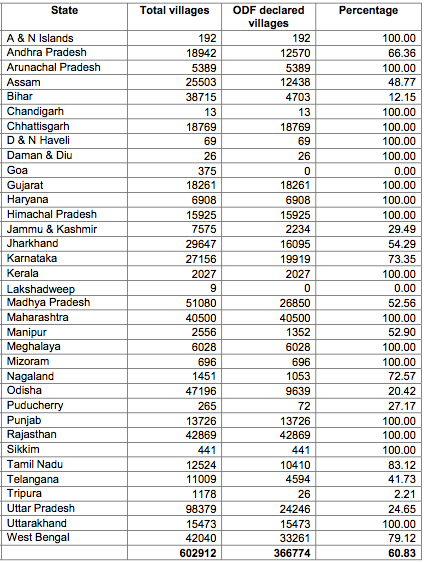 866.68 crore, in Assam Rs. 606.30 crore, in Odisha Rs. 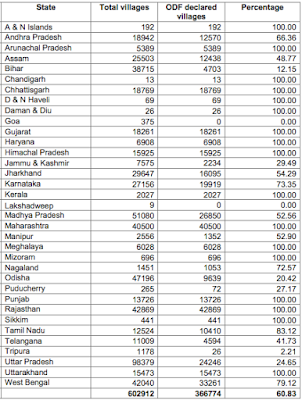 436.71 crore, in Andhra Pradesh Rs. 420.16 crore are lying unspent.